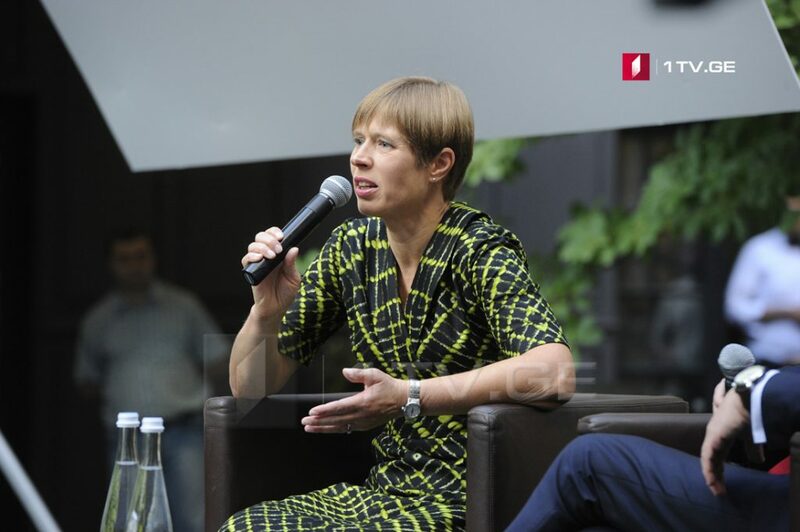 Kersti Kaljulaid, President of Estonia says that there are many in Europe who supports restoration of relations with Russia. President of Estonia made this statement during the 4th International Conference “World in 2018 Upside Down” organized by Economic Policy Research Centre (EPRC) of McCain Institute. “You said that the West had woken up, but I do not think that we, from Europe, will agree with your assessment,- President of Estonia Kersti Kaljulaid said, addressing Wess Mitchell, Assistant Secretary of State for European and Eurasian Affairs. “We have to do business with Russia. Besides, let’s see what the populist parties say – they do not care about our liberal-democratic values, which is good for the Russians. So what has been done since Georgia’s war is not enough. We said let’s try to bring private business in Georgia, it took 3 months to do it, but I’m not saying that nothing is done,” Kaljulaid stated.